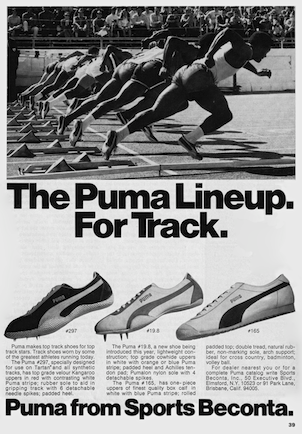 The Puma Lineup. For Track. Puma makes top track shoes for top track stars. 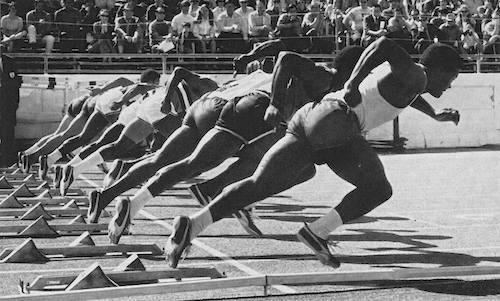 Track shoes worn by some of the greatest athletes running today. 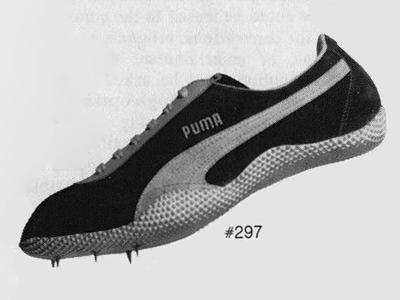 The Puma #297, specially designed for use on Tartan and all synthetic tracks, has top grade velour Kangaroo uppers in red with contrasting white Puma stripe; rubber sole to aid in gripping track with 6 detachable needle spikes; padded heel. 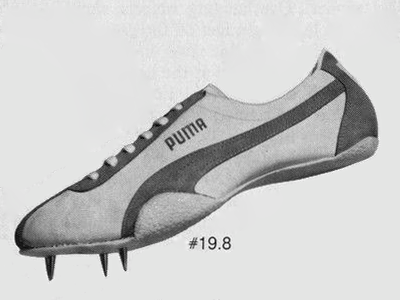 The Puma #19.8, a new shoe being introduced this year, light weight construction; top grade cowhide uppers in white with orange or blue Puma stripe; padded heel and Achilles tendon pad; Pumalon nylon sole with 4 detachable spikes. 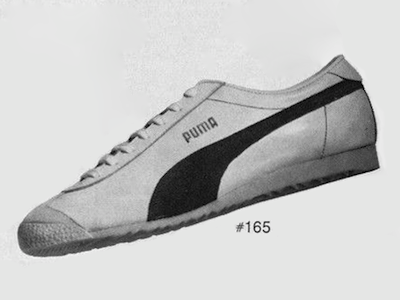 The Puma #165, has one-piece uppers of finest quality box calf in white with blue Puma stripe; rolled Padded top; double tread, natural rubber, non-marking sole, arch support; ideal for cross country, badminton, volley ball. New balance 320 "RATED NUMBER 1"